Roberta Venco Ricciardi has been Associate Professor of Iranian Archeology at the University of Turin (UniTO, Italy), specializing in the Parthian-Sasanian period in the Middle East. From 1967 until 1975, she was Field Director for the Archaeological Research and Excavation Center of Turin (CRAST) of the important Sassanid center of Veh Ardashir, in the area of ​​Al-Mada'in. She was responsible for the prospecting in the valley of the Atrek (north-eastern Iran) between 1976 and 1978. Since 1980, for three excavation campaigns, she has participated as Area Director in the investigations at the site of Tell Barri in Syria (Institute for Mycenaean and Aegean-Anatolian Studies, Rome). Between 1984 and 1985 she was director of excavation at Kifrin on the Euphrates (Iraq). 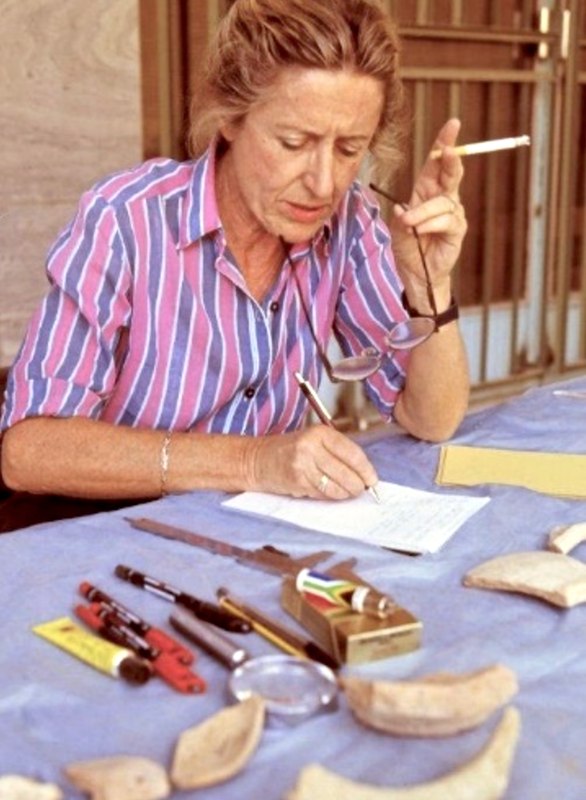 Starting in 1986, she began to take care of the site of Hatra, first with a campaign of recording, photography and drawing of graffiti and then with numerous excavation missions (1987-1990, 1994-2002). She also coordinated the UNESCO Mission to Hatra in 2003. In 2004, she participated in the joint activities of the Italian Ministries of Foreign Affairs and Cultural Heritage for the partial re-opening of the Iraq Museum in Baghdad and, in particular, for the Hatra section. During this work a first catalog and photographic campaign of the sculptures preserved in the warehouses was produced. Roberta Venco Ricciardi has written numerous scientific contributions on the archaeological sites in which she has worked, in particular with a rich production of articles on the center of Hatra that ranges from domestic architecture, to religious, to paintings and graffiti. She was the curator of a photographic exhibition on the site that was set up in Turin and Naples in 2000. In recent years she has participated in numerous conferences and workshops on the destruction of Cultural Heritage in the Middle East and, in particular, in Iraq.